No matter how hard I try, my wife is always the A-list parent. Here are 5 unexplainable reasons why Mommy is VIP. 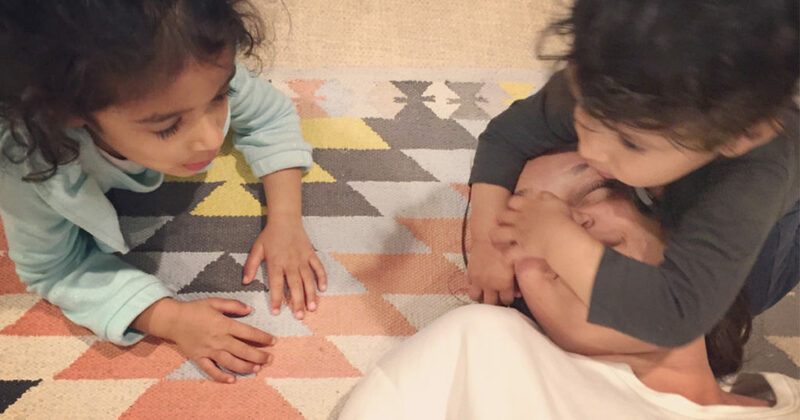 1) “I need Mommy” – Mommy suddenly walks into the room and everyone runs and piles on top of her like she’s a Running Back carrying a football. There’s clawing, fighting, and screaming about who gets VIP snuggle-access with her. I just stand in the corner with open arms like: “Guys, I can hug it out too, ya know?” Nobody listens. Mommy’s lap is where the party’s at. 2) “Where’s Mommy?” – Daddy walks out of the room and it’s not a big deal. But Mommy walks out of the room and it’s an automatic Code Red emergency where we need to call the military to go find her. Where was did she go? The bathroom. 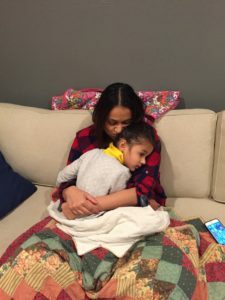 3) “Only Mommy” – On specific nights, it’s only Mommy who can tuck everyone into bed like she has some sort of magic voodoo which she sprinkles into your eyes before sleep (re: mombae). When Daddy kisses goodnight, his beard itches. Mommy’s hair is long, soft, and smells like nectarines—perfect for a soothing bedtime workflow. Daddy needs to get it together—especially his life choices regarding facial hair. 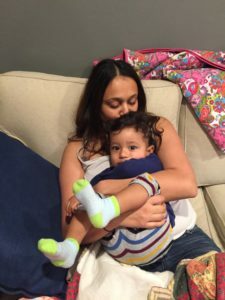 4) “Mommy knows where it is” – Only Mommy knows where the lost rainbow socks are that the 3-year old is currently screaming about. Mommy will find them and fix this hot mess because apparently Daddy doesn’t know anything. 5) “Mommy can do it” – Mommy has the family’s calendar mapped out in her brain until the year 2030 so she’s the only person to have deep discussions with about setting up playdates with Calvin on the weekend. Daddy can’t do it because he doesn’t even know where the rainbow socks are. Have a Mommy whose VIP in your house? Give her a shout out in the comments! And be sure to follow the shenanigans on Facebook, Instagram, and Pinterest. You can email me directly to say hello too!